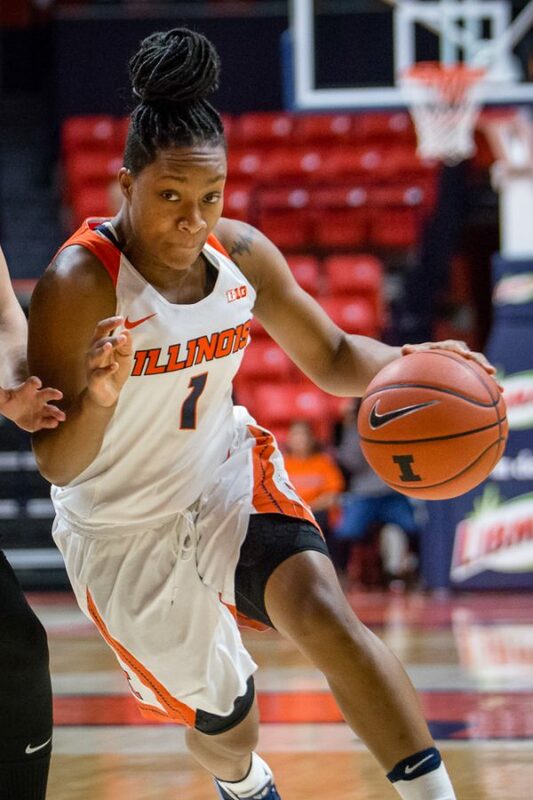 Hidden Stat: Brandi Beasley was responsible for nine out of the 14 points the Illini scored in the third quarter. 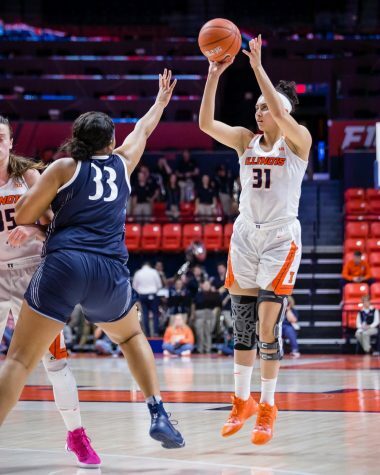 Illinois women’s basketball guard Brandi Beasley set her career high in points against Penn State with 28, grabbed seven rebounds and led the team with five assists. 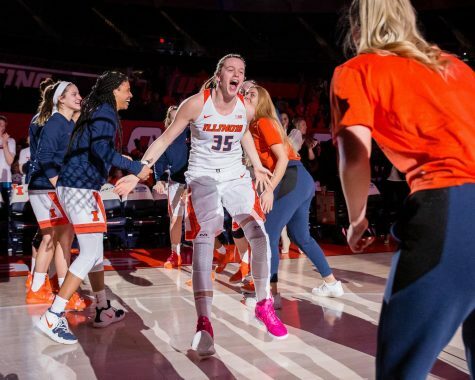 But her performance was not enough to make the game close, as Illinois lost on the road again, 82-66. 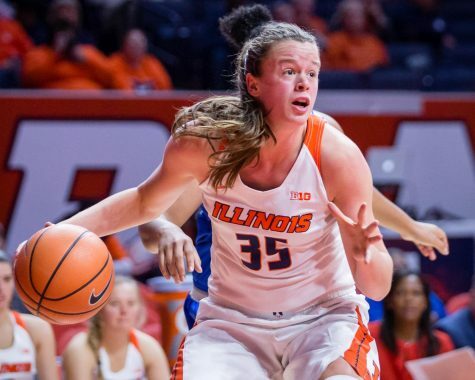 It was Illinois’s fourth-straight loss, and its eighth-straight loss on the road. After the Illini started slow in the first quarter, they quickly responded. The game continued in that fashion throughout the first half, with Penn State going on long runs and the Illini answering back and keeping the game close. 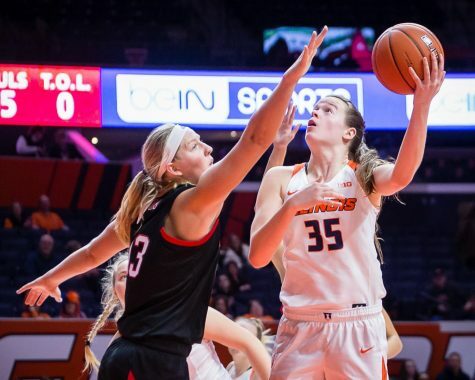 In the first half, Illinois received offensive contributions from Courtney Joens, Ali Andrews and Jaelyne Kirkpatrick, but as the game wore on, all three of those players completely faded out of the attack. 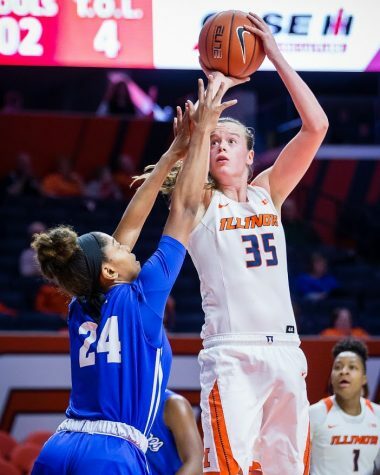 Without bench contributions, the Illini turned to their offensive stalwarts, Beasley and Alex Wittinger, but Wittinger also struggled down the stretch. With no other options, Beasley took over. 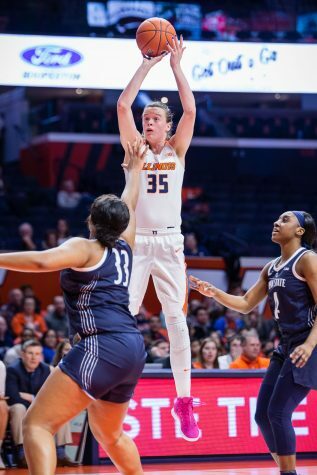 The freshman scored nine of Illinois’ 14 third quarter points and assisted on three of the other five. 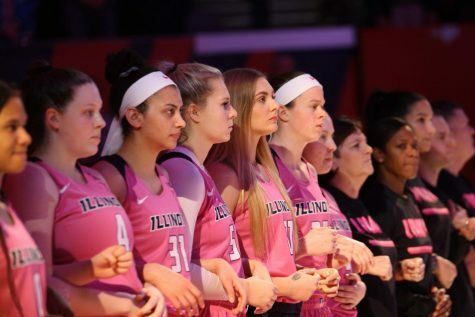 While the Illini’s lack of scoring from the bench caused them to fall behind, the Lady Lions’ bench helped their lead to grow. Led by senior forward Kaliyah Mitchell’s 16 points, the Lady Lions racked up 30 bench points. Mitchell, Lindsey Spann and Peyton Whitted sealed the game for the Lady Lions and extended Illinois’ road woes. 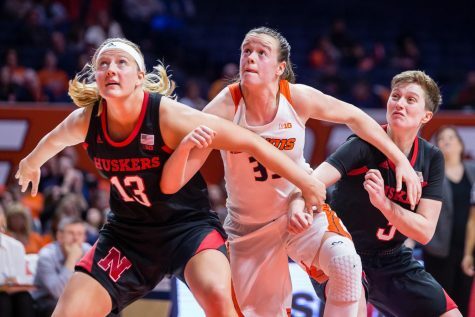 Much like last season when the Illini finished 1-10 away from the State Farm Center, Bollant’s team will head into the latter part of the season without a road win. Illinois has three road games left, including one against No. 3 Maryland. Bollant said he hopes that if Beasley fills the stat sheet again, she has some support and that his team plays a more disciplined game. Two of Beasley’s teammates fouled out, and the team as a whole finished with 22 personal fouls.